BetterWalker™ partners with Novera Payment Solutions, LLC to provide integrated credit & debit card acceptance for its users. 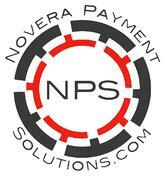 PHP POS™ partners with Novera Payment Solutions, LLC to provide integrated credit & debit card acceptance for its users. ISV Worldpay Link Gateway Webinar Jan 24 - Join Us! Which is Better, Traditional Phone Service or Business VOIP? ISV Worldpay Link Gateway Webinar Oct 1 - Join Us! ISVs - Is Your Software Ready for EMV Smart Cards? QuickBooks Solutions : Cloud or Desktop? Do You Have a Google+ Business Page Yet? What if YOUR Credit Card Information is Compromised? Can a Hummingbird Impact Your Business? Looking to Grow Sales? Get Social and Get Found. What is PCI Compliance & What Does It Mean for Your Auto Dealership? Do You Understand What It Really Costs to Accept Credit Cards?